Traveling to New York City to see the magnificent street art is a great experience for students who enjoy art. Add to that, the city lights and diverse cultures, this is a trip to remember. New York City thrives on individuality and creativity. From the awe-inspiring Broadway shows to Central Park where artists are as common as blades of grass, New York City is the place to travel to for inspiration and stimulation. Whereas in other big cities graffiti is looked at in a negative light, NYC broadcasts the beautiful art as a part of their heritage and culture. 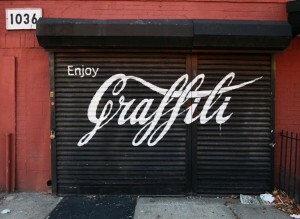 Graffiti started as early as ancient Rome, but the Urban Graffiti style started in New York City in the late 1960s. Brooklyn Street Art Tours are the newest trend to get students out of the traditional art show setting and into the heart of the city to experience the culture of the people who dwell there. 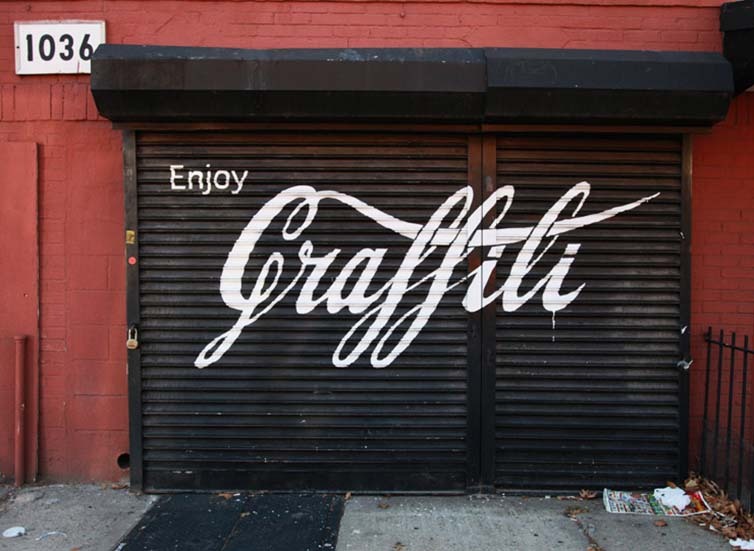 The Brooklyn Street art tour that is offered by Educational Travel Consultants provides an inside look at the various graffiti art and artists. Students will take a walking tour through the neighborhoods of Brooklyn, including Bushwick and Williamsburg. What is great about this particular tour is that no two will be alike. With the ever-changing skyline of New York and the influx of graffiti artists to the area, new “canvases” are being unveiled daily. Your students will experience the dizzying collections of urban images that give testament to the vibrant culture that makes New York City a true melting pot of the world. Please contact one of our representatives or visit our website to book a Brooklyn Street Art tour with Education Travel Consultants. New York City is well known for the number of artists who live and work there, and the quality of the art displayed in museums and galleries. In this article, I will give some details about the highlights of an art tour of New York City designed for students to enhance their curriculum. The Metropolitan Museum of Art and the Museum of Modern Art are important student tour destinations in New York City. I have written about them elsewhere. Visit the link above, where an article giving more information about these museums is posted. The contemplation and analysis of great works of art helps the art student or art history student to better understand the diversity and complexity of art across cultures and time periods. Art students gain insight into technical processes and gather ideas for future work. All students develop an appreciation for high degree of artistry exhibited and housed in museums and galleries in New York City. This relatively new museum, opened in 1998, is located at Vernon Court, one of the most famous mansions of the ‘gilded age’ of American architecture. Vernon Court takes up one full block on Bellevue Avenue and the mansion grounds include a garden designed by America’s first landscape architect, Frederick Law Olmstead, and revitalized in his honor. The museum houses the largest collection of illustrative art, which is defined as illustration produced for mass media such as books, magazines, advertisements, and new media. Some notable artists in the collection are Maxfield Parrish, N.C. Wyeth, and Norman Rockwell. Educational student tour groups learn a great deal about art, architecture, and the history of illustration on a visit to this museum in New York – a worthwhile destination for an art tour. For enthusiasts of literature and art, a tour of Greenwich Village in New York City is an absolute must. Jack Kerouac, Bob Dylan, and Emma Thompson all performed here, visited, or lived in the Village. The heart of Greenwich Village is Washington Square Park, which borders New York University, and is always a bustle of performances and activities. Student tour groups will want to see the Centennial Arch, which commemorates the 100th Anniversary of our first president’s inauguration. Educational groups will also want to visit historic homes in Greenwich Village with literary, architectural or historic significance, or maybe take in a meal at one of the Village’s fine restaurants, shop, and most of all: breathe in the air of bohemia. To give students an overview of 20th Century American Art, the Whitney Museum of American Art is a great place to begin. The Whitney was founded in 1931, and established a name for it based on acquiring the works of new, emerging visual artists. The museum houses over 22,000 works of art in its collection, which is expanding. The Frances Mulhall Achilles Library has more than 37,000 books and exhibition catalogues, and is an excellent place to conduct research on American art. Student travel groups may tour the museum and take in the special exhibits. The Guggenheims are perhaps the best known art collectors and philanthropists in the world. Educational tour groups headed to New York City do not want to miss this world class museum. Teachers will find the Arts Curriculum Online to be a great tool to prepare students for a visit to the Solomon Guggenheim Museum. The Solomon Guggenheim Museum does not highlight an era in art, or an aesthetic. The Guggenheim is a museum which grew out of a sophisticated private collection, and spans many periods and tastes in art worldwide. Educational tour groups with a focus on art can derive a great deal from an art tour of New York City. Because the options for art in New York are so diverse and rewarding, my company, Educational Travel Consultants, decided to create a tour which focused on just that. For more information on the Art Tour, visit http//: www.educationaltravelconsultants.com or email info@educationaltravelconsultants.com.